EASTER SUNDAY April 21 Worship service 10:30 a.m. Easter egg hunt after Easter service. Each week, Christians throughout the world read biblical passages from the Revised Common Lectionary, including the Old Testament, Psalms, New Testament, and Gospels. After three years, a good portion of the Bible is included and the cycle begins again. RCL passages are often read in church worship services, and Kahu Akana usually includes at least one of them on the following Sunday. This week’s readings are Acts 10:34-43; Psalm 118:1-24; 1 Corinthian 15:19-26; John 20:1-18. Tuesday, March 26, 7:30 a.m. Kalapaki Joe’s Poipu. Join church members and friends as we “talk story” and spend this time getting to know each other better. Tuesday, 10 a.m. in Kahu’s office. Gather with the ladies as you will learn how to piece a cross background using a sheet, press, layer, stitch and tie and label. There are 2 quilts that need ties and labels. And you can finish some Prayer Squares. See you there! This special mission offering will be collected on Sunday, March 31. A gift to One Great Hour of Sharing enables our church to share God’s love with people in need around the world by providing relief to those affected by natural disasters, provide food to the hungry and help empower the poor and oppressed. Thank you for your generous gifts! Each week, Christians throughout the world read biblical passages from the Revised Common Lectionary, including the Old Testament, Psalms, New Testament, and Gospels. After three years, a good portion of the Bible is included and the cycle begins again. RCL passages are often read in church worship services, and Kahu Akana usually includes at least one of them on the following Sunday. This week’s readings are Joshua 5:9-12; Psalm 32; 2 Corinthians 5:16-21; Luke 15:1-32. 11 a.m. in Moore Hall. Join the church youth to color Easter eggs followed by a hot dog lunch. Easter egg hunt after Easter service. ENSEMBLE PRACTICE Come one, come all. Practice on Saturday, March 16, noon, at the church. WELCOME REV. SARAH JONES Sunday, March 17, will be Rev. Sarah Jones’ first Sunday with us. She will be our guest preacher until June 2, when our Kahu Alan returns from sabbatical. SCENT-FREE ENVIRONMENT We have members, friends and a kahu who are highly allergic to various scents, often resulting in coughing, sneezing, difficulty breathing, headaches and speaking, as well as other symptoms. Heavy perfumes and colognes are particularly troublesome. We are requesting that our church be, as much as possible, a “scent-free” environment during worship services, social activities and meetings. We realize that there is no way to keep all scents away and we plan to continue having fresh flower arrangements each week and leis for special occasions, but we do ask everyone to be sensitive to the needs of those around them when it comes to perfumes, colognes and lotions. PARKING NOTE Thanks to all who are able who have been making parking more manageable on Sunday mornings! Those who have been carpooling and parking at the school and on Waikomo Road have made a big difference in making room for the elderly, our visitors, and those who have trouble walking. THE LATEST COCONUT WIRELESS The Hawai`i Conference of the United Church of Christ shares news on the Coconut Wireless, the regular weekly newsletter of the HCUCC. If you would like to keep abreast on news, opportunities and events, please click HERE for the latest news. If you like what you see, you may subscribe and get every issue of the Coconut Wireless automatically and get the very latest news hot off the press. LECTIONARY READINGS (Old & New Testament Readings for the Week) Each week, Christians throughout the world read biblical passages from the Revised Common Lectionary, including the Old Testament, Psalms, New Testament, and Gospels. After three years, a good portion of the Bible is included and the cycle begins again. RCL passages are often read in church worship services, and Kahu Akana usually includes at least one of them on the following Sunday. This week’s readings are Genesis. 15:1-18; Psalm 27; Philippians 3:17-4:1; Luke 13:31-35. MEN’S BREAKFAST The last men’s breakfast of the season will be on Tuesday, March 19, 7:30 a.m. at Kalapaki Joes Poipu. Join the men of the church and their friends as they visit over breakfast and a cup of coffee. ALL CHURCH BREAKFAST Join the all-church breakfast on the 4th Tuesday of every month, 7:30 a.m. at Kalapaki Joe’s Poipu. The next scheduled breakfast is March 26. Members and friends are invited to attend. RECORD-BREAKING WEEK Koloa Union Church has been blessed with a record breaking week. February 24: We enjoyed Church on the Beach at beautiful Poipu Beach. We had 92 attending Sunday service and enjoying a potluck lunch! We also celebrated Kahu Alan’s 5 year anniversary with Koloa Union Church. February 26: All-church breakfast at Kalapaki Joe’s Poipu had 23 meeting for breakfast and visiting with friends. March 3: Kahu’s last Sunday before leaving on sabbatical had the sanctuary overflowing with 115 in attendance. OPEN AND AFFIRMING Koloa Union Church proudly announces that members have unanimously voted to become and Open and Affirming Congregation. MEN’S BREAKFAST Tuesday, 7:30 a.m., Kalapaki Joe’s Poipu. Join the men of the church and their friends as they continue this winter tradition. Everyone (men & women) is invited to breakfast on the 4th Tuesday on each month. Tuesday, March 5, 6:00 p.m. Join us on this eve before Ash Wednesday for a fun pancake supper. This tradition can be traced back to at least 1000 AD and is a time to feast due to the need to get rid of restricted foods/ingredients during the Lenten fasting such as eggs, milk, butter, flour. ASH WEDNESDAY Wednesday, March 6, 7:00 p.m. We mark Ash Wednesday as the first day of Lent. It follows Shrove Tuesday. It is traditionally a time of fasting and prayer in preparation for receiving or reaffirming baptism at Easter. We will have a service of the ashes. YOUTH OUTING Sunday, March 10, after church. The youth will be going to Kilauea Miniature Golf. Let Tiffany know if you would like to attend. SCENT-FREE ENVIRONMENT We have members, friends, and a kahu who are highly allergic to various scents, often resulting in coughing, sneezing, difficulty breathing and speaking, as well as other symptoms. Heavy perfumes and colognes are particularly troublesome. We are requesting that our church be, as much as possible, a “scent-free” environment during worship services, social activities and meetings. We realize that there is no way to keep all scents away, and we plan to continue having fresh flower arrangements each week and lei for special occasions, but we do ask everyone to be sensitive to the needs of those around them when it comes to perfumes, colognes and lotions. LECTIONARY READINGS (Old & New Testament Readings for the Week) Each week, Christians throughout the world read biblical passages from the Revised Common Lectionary, including the Old Testament, Psalms, New Testament, and Gospels. After three years, a good portion of the Bible is included and the cycle begins again. RCL passages are often read in church worship services, and Kahu Akana usually includes at least one of them on the following Sunday. This week’s readings are Deuteronomy 26:1-11; Psalm 91:1-16; Romans 10:8-13; Luke 4:1-13. COMING UP. . . .
Sunday, March 17 will be Rev. Sarah Jones’ first Sunday with us. She will be our guest preacher until June 2 while Kahu is on sabbatical. BON VOYAGE PARTY FOR KAHU Kahu will be hosting a bon voyage party on Sunday, March 3, from 1 to 5 p.m. at the Smith Memorial Parsonage. Come and enjoy cake, coffee and iced tea, and say good-bye to Kahu before he leaves on his 3-month sabbatical in southern France the next day. All items at the gallery will be 20-50% off on this day! LECTIONARY READINGS (Old & New Testament Readings for the Week) Each week, Christians throughout the world read biblical passages from the Revised Common Lectionary, including the Old Testament, Psalms, New Testament, and Gospels. After three years, a good portion of the Bible is included and the cycle begins again. RCL passages are often read in church worship services, and Kahu Akana usually includes at least one of them on the following Sunday. This week’s readings are Exodus 34:29-35; Psalm 99; 2Corinthians 3:12-5; Luke 9:28-44. PANCAKE SUPPER/SHROVE TUESDAY/MARDI GRAS/ FAT TUESDAY Tuesday, March 5, 6:00 p.m. Join us on this eve before Ash Wednesday for a fun pancake supper. This tradition can be traced back to at least 1000 AD and is a time to feast due to the need to get rid of restricted foods/ingredients during the Lenten fasting such as eggs, milk, butter, flour. YOUTH OUTING Sunday, March 10, after church will be the next activity for Sunday school and youth. Let Tiffany know if you would like to attend. WELCOME REV. SARAH JONES Sunday, March 17 will be Rev. Sarah Jones’ first Sunday with us. She will be our guest preacher until June 2 while Kahu is on sabbatical. Sunday, February 24, 11 a.m.
Bring something to eat for the potluck. Bring lawn chairs if you like. There will be no worship service at the church on this day! LECTIONARY READINGS (Old & New Testament Readings for the Week) Each week, Christians throughout the world read biblical passages from the Revised Common Lectionary, including the Old Testament, Psalms, New Testament, and Gospels. After three years, a good portion of the Bible is included and the cycle begins again. RCL passages are often read in church worship services, and Kahu Akana usually includes at least one of them on the following Sunday. This week’s readings are Genesis 45:3-15; Psalm 37:1-49; 1 Corinthians 15:35-50; Luke 6:27-38. ALL CHURCH BREAKFAST Tuesday, February 26, 7:30 a.m. Kalapaki Joe’s Poipu. Join the ladies and men as we meet for breakfast and fun conversations. OPEN and AFFIRMING MEETING The ONA Core Team will meet on Thursday, February 28, at noon in Kahu’s office. CONGREGATIONAL MEETING Sunday, March 3, after the worship service. We will vote on our Open & Affirming Covenant. BON VOYAGE PARTY FOR KAHU Kahu will be hosting a bon voyage party on Sunday, March 3, from 1 to 5 p.m. at the Smith Memorial Parsonage. Come and enjoy cake, coffee and iced tea, and say good-bye to Kahu before he leaves on his 3-month sabbatical in southern France the next day. All items at the gallery will be 20-50% off on this day! Click HERE to see the latest mailing from Alan Akana Gallery, which includes an invitation to the party! KALAUPAPA SPRING SERVICE RETREAT Resource for Christian Spirituality will be offering a retreat April 24-28 on Moloka`i. Our friend, the Rev. Dr. Phyllis Meighen, will lead this retreat to Kalaupapa. The cost is $700 and a $200 deposit it due by February 28. For more information, contact Phyllis Meighen at 647-4346. RESOURCE CRUISE IN HAWAII Rev. Dr. Phyllis Meighen is leading a ReSource Cruise Retreat October 26 – November 2, 2019—another offering by Resource for Christian Spirituality. You will be sailing the Hawaiian Islands on the NCL Pride of America. On the retreat you’ll see the earth being formed, experience sustainable ancient Hawaiian farming and fishing practices, visit Kalaupapa where Saint Damien ministered to those exiled, trace the complex history of the Christian Church in the islands, learn of efforts to recover endangered species. The retreat needs at least 35. Call Phyllis at 647-4346 or Ted Bradpiece at 818-351-5085 for details. Please book the trip by the end of February! MEN’S BREAKFAST Join the men of the church and their friends as they continue this winter tradition. The men meet each Tuesday (except the 4th Tuesday of each month when they are welcome to join the All-Church Breakfast) at 7:30 a.m. at Kalapaki Joe’s in Poipu for this time to catch up with returning snowbird friends and church members. BIBLE STUDY Kahu will offer a Bible study for people who would like to read passages in the Bible and learn about how they are interpreted; we will read biblical texts that encourage welcoming and accepting people who are different, as well as texts that are often used to condemn people who are lesbian, gay, bisexual, transgendered and those who question sexual and gender norms. There will be a time for questions and conversation. You are welcome to attend the Bible Study on Wednesday, February 6, at 7 p.m. at the Smith Memorial Parsonage (3281 Waikomo Road). CHURCH ENSEMBLE Singers are asked to meet at the church on Saturday, February 9, at noon for practice. You will be featured on Sunday, February 10, during Ka Mele Makana. LECTIONARY READINGS (Old & New Testament Readings for the Week) Each week, Christians throughout the world read biblical passages from the Revised Common Lectionary, including the Old Testament, Psalms, New Testament, and Gospels. After three years, a good portion of the Bible is included and the cycle begins again. RCL passages are often read in church worship services, and Kahu Akana usually includes at least one of them on the following Sunday. This week’s readings are Isaiah 6:1-13; Psalm 138; 1 Corinthians 15:1-11; Luke 5:1-11. Walk from home if you live in the neighborhood. Park at Koloa School / Koloa Library. We have their permission to use their parking area on Sundays. Park on Waikomo Road between Poipu Road and the Smith Memorial Parsonage. Carpool if there is more than one person attending from your household or even with a neighbor. CONSTRUCTION UPDATES The crew continues construction on the soon to be brand new ladies’ restroom, which is scheduled for completion by the end of February! Feel free to take a peek on Sunday morning and see the progress! As construction continues, the men’s restroom is back open and the women are asked to use the restroom directly across from the kitchen door or the porta-potty behind the kitchen. The workers are also working on the church office expansion and plan to have that project done by the end of February as well. Thank you for your patience during construction, and for everyone’s generosity to the capital campaign to make these projects possible! MOVIE NIGHT Friday, February 15, 6 p.m. Movie TBA. We will enjoy hot dogs and popcorn. Bring your lawn chairs, warm jackets and sleeping bags for a fun time. HENRY OPUKAHA`IA SUNDAY Sunday, February 17. Each year we collect a special offering in honor and in memory of “Henry O”, the first Native Hawaiians known to become a Christian. Henry Opukaha`ia is credited with motivating the early New England Protestant missionaries to moving to Hawaii. The money collected supports the training of current and future clergy for Christian ministry by providing financial aid for seminary students. OFFICE CLOSED Monday, February 18, for Presidents’ Day. 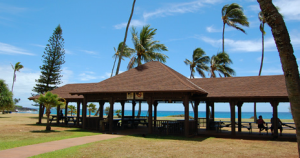 CHURCH ON THE BEACH Join us on Sunday, February 24, 11 a.m. for an outdoor worship service at the Pavilion across from Nukumoi Surf Shop at Poipu Beach. Come early if you want to hang out. KALAUPAPA SPRING SERVICE RETREAT April 24-28 on Moloka`i. Our friend, the Rev. Dr. Phyllis Meighen, will lead this retreat to Kalaupapa. The cost is $700 and a $200 deposit it due by February 28. For more information, contact Phyllis at 647-4346. Wednesday, February 6, at 7 p.m. at the Smith Memorial Parsonage (3281 Waikomo Road). LECTIONARY READINGS (Old & New Testament Readings for the Week) Each week, Christians throughout the world read biblical passages from the Revised Common Lectionary, including the Old Testament, Psalms, New Testament, and Gospels. After three years, a good portion of the Bible is included and the cycle begins again. RCL passages are often read in church worship services, and Kahu Akana usually includes at least one of them on the following Sunday. This week’s readings are Jeremiah 1:4-10; Psalm 71:1-6; 1 Corinthians 13:1-13; Luke 4:21-30. LADIES’ ENSEMBLE The ladies are asked to meet at the church on Saturday, February 9, at noon for practice. You will be featured on Sunday, February 10, during Ka Mele Makana. HENRY OPUKAHAIA SUNDAY Sunday, February 17. Each year we collect a special offering in honor and in memory of “Henry O”, the first Native Hawaiians known to become a Christian. Henry Opukahaia is credited with motivating the early New England Protestant missionaries to moving to Hawaii. The money collected supports the training of current and future clergy for Christian ministry by providing financial aid for seminary students. KALAUPAPA SPRING SERVICE RETREAT April 24-28 on Molokai. Our friend, the Rev. Dr. Phyllis Meighen, will lead this retreat to Kalaupapa. The cost is $700 and a $200 deposit it due by February 28. For more information, contact Phyllis at 647-4346. Rev. Dr. David Vasquez-Levy is the author of various publications that explore migration stories in sacred texts and in people’s lives. 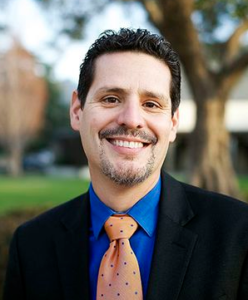 An offering to strengthen the ministry of Pacific School of Religion will be taken, and a dessert reception in Moore Hall will follow the lecture, where people can visit further with Dr. Vasquez-Levy. ALL-CHURCH BREAKFAST According to our practice since last spring, everyone is invited to breakfast on the 4th Tuesday of the month at Kalapaki Joe’s in Poipu at 7:30 a.m. The next All-Church Breakfast will be January 22. CHURCH VITALITY WORKSHOP The Kauai Association UCC is hosting a workshop on “Church Vitality” at Lihu`e Christian Church on Tuesday, January 22, from 5-7 p.m. The Hawaii Conference UCC Associate Conference Minister and author, Rev. Tracy Barnowe, will be presenting during this workshop. If anyone is interested in how to make our church more vital and would like to attend with Kahu Akana, please contact him. THE LATEST COCONUT WIRELESS Kahu Alan Akana and Koloa Union Church are both mentioned in the Coconut Wireless! The Hawaii Conference of the United Church of Christ shares news on the Coconut Wireless, the regular weekly newsletter of the HCUCC. If you would like to keep abreast on news, opportunities and events, please click HERE for the latest news. If you like what you see, you may subscribe and get every issue of the Coconut Wireless automatically and get the very latest news hot off the press. LECTIONARY READINGS (Old & New Testament Readings for the Week) Each week, Christians throughout the world read biblical passages from the Revised Common Lectionary, including the Old Testament, Psalms, New Testament, and Gospels. After three years, a good portion of the Bible is included and the cycle begins again. RCL passages are often read in church worship services, and Kahu Akana usually includes at least one of them on the following Sunday. This week’s readings are Isaiah 62:1-5; Psalm 36:5-10; 1 Corinthians 12:1-11 ; John 2:1-11. ANNUAL CONGREGATION MEETING Join us on Sunday, January 27, after our worship service as we reflect on the past year and look ahead to the coming year. We need all members to attend in order to have a quorum to vote on the budget and our new leaders. There will also be a presentation by the Open & Affirming Core Team. MEN’S BREAKFAST Join the men of the church and their friends as they continue this winter tradition. The men meet each Tuesday (except the 4th Tuesday when they are welcome to join the All-Church Breakfast) at 7:30 a.m. at Kalapaki Joe’s in Poipu for this time to catch up with returning snowbird friends and church members. The next Men’s Breakfast will be January 29. SALVATION ARMY LUNCH We will be serving lunch at the Hanapepe Salvation Army on Wednesday, January 30. We need 4-5 volunteers. You can meet at the church at 9:30 a.m. if anyone wants to carpool or meet at the Salvation Army around 10 a.m. Please contact Suzanne Pearson if you want to participate: 742-2858.